Your mouth is one of the most important organs in your body. Its functions are very important when consuming food and drink as it is the first place that each of these items go before ending up in the digestive system. Because of its importance, everyone needs to know how to keep their mouth healthy in between dental appointments. Keep your toothbrush clean – Your toothbrush can either really clean your mouth or supply it with more germs, depending on how you care for it. After you brush your teeth, make sure to thoroughly rinse the bristles with warm water to wash away all germs. After rinsing, the brush should be placed with the bristles up in an open space – not a tight, dark area where mold can grow. Always keep your toothbrush away from other family member’s toothbrushes to prevent the spread of germs. Stay hydrated – Water is essential to a healthy mouth. 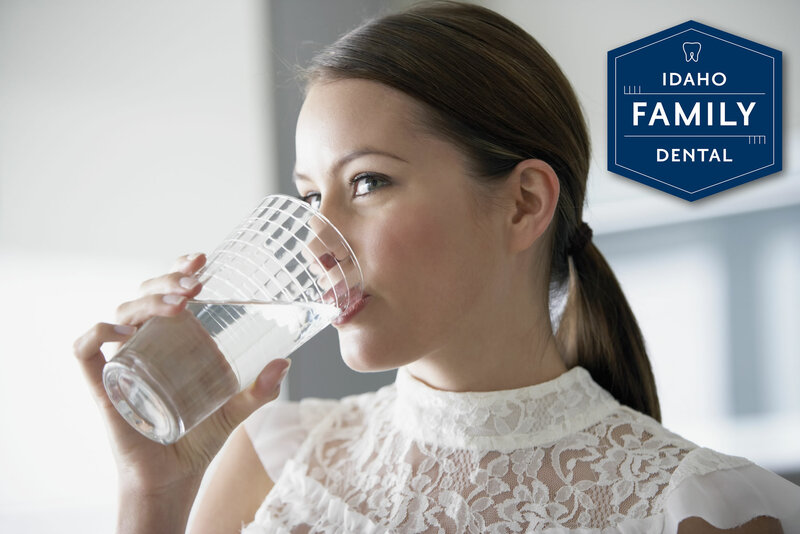 Water not only hydrates your body, but helps to keep your mouth moist, which keeps bacteria away. The dryer that your mouth becomes, the more bacteria that it will store, causing you to suffer from tooth decay, gum disease and bad breath. Avoid harmful ingredients including sugar, tobacco and carbonation – All of these substances are harmful to your teeth and put your oral health at risk. Each of these habits can put you at risk for tooth decay and gum disease, causing subsequent tooth loss and serious health issues in the long run. Keeping your mouth healthy can help to keep your overall health good too. Keep these simple habits in mind and keep up your bi-annual dental appointments for a truly healthy mouth for many years to come.